Win the Use of a Free Coffee Machine in Your Home over the Festive Season! We are offering you the opportunity to win the free use of a coffee machine in your home over the Festive Season*! Imagine waking up to a cappuccino … at the touch of a button… every morning! You’ll be the most popular person in your family! We will deliver and install an automatic bean coffee machine to you on 17 December 2018 (or a date that is suitable) and give you 3 kg free coffee beans for use in the machine. You pay absolutely nothing for the machine and the 3 kg of coffee beans! Offer ONLY open to residents located in Gauteng. Offer includes a free-on-loan coffee machine from 17 December 2018 to 15 January 2019 and 3 kg of coffee beans. Ownership of the machine will at no-time, nor for any reason, pass from Frontier Coffee Corporation (Pty) Ltd to any person or entity. Insurance required and machine may not be moved from premises where it is installed. 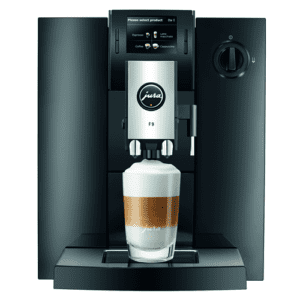 Coffee machine will offer: espresso, black, white, cappuccino, cafe latte and hot milk options. Machine may differ in appearance from image displayed above. All information supplied in the winning entry will be verified and must be correct. Competition is open until 10h00 on 14 December 2018 and the draw will take place at 11h00 on 14 December 2018. The winner will be informed on the same day as the draw.